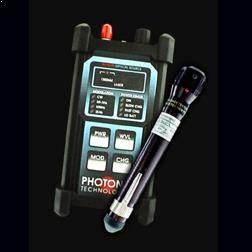 Photonix PX-D113 Deluxe Power Meter and 1310 Laser Light Source Fiber Optic Test Kit are intended to allow technicians to perform precise optical measurements in the field. 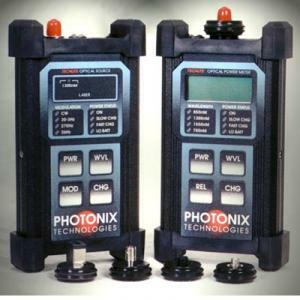 The meters, when operated in absolute power mode, are used to determine the level of optical power being emitted from a transmitter. 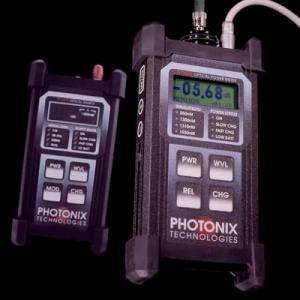 In relative mode, the meters are used with the included source to perform fiber loss measurements or splice tuning operations. TECHLITE meters and sources were designed to be rugged. 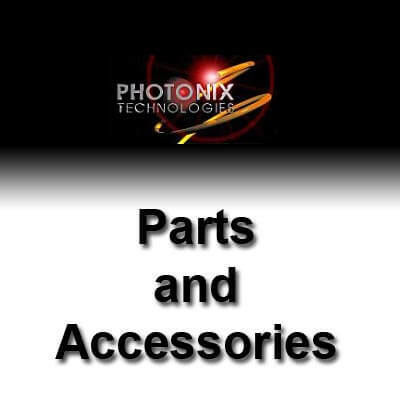 As with all Photonix test instruments, the internal circuitry is housed within an aluminum extrusion with high impact rubber bumpers. This meter can be driven over with an automobile and has even been known to have survived a 24' drop onto concrete. When stored in its protective waterproof carry case (included when purchased with a light source as a test kit), the set can even be submerged several feet underwater. In addition, the instruction guide is fully laminated to make it weather resistant and virtually tear-proof. The included TECHLITE PX-B220 meter features NIST traceable calibration at 4 wavelengths: 850nM, 1300nM, 1310nM, and 1550nM with measurement power levels as high as +3dBm or as low as -60dBm. The meter also features a true resolution of 0.01dB at ALL power levels thereby allowing the technician to trust measurements below -45dBm. The TECHLITE meter, in relative measurement mode, will store the zero reference reading for all four wavelengths independently in non-volatile memory. This allows all zero references to be taken at one time and also allows the unit to be turned off while moving between locations preserve battery life. Also in relative mode, the meters will also display a 1dB analog type deviation pointer and an unaveraged mini-display for real-time splice tuning. The TECHLITE meters utilize a graphic LCD screen to create unusually large and easy to read numbers as graphics to indicate power levels.